Shrub, erect or spreading or prostrate (especially at high altitude), to 4m tall; leaves in whorls of 3 or 4, to 9mm long; flowers 1–5 in axillary umbels on very short shoots; calyx of 4 free sepals or 4-lobed with unequal lobes fused at base; corolla bell-shaped, to 4.5 mm long, in varying shades of mauve or pink, or rarely white (Erica manipuliflora f. albiflora); stamens 8, emergent; anther without spurs; nectar produced. Blooms in late summer and autumn. An eastern Mediterranean species occurring from Italy (Apulia) through Croatia, Montenegro, Albania, Greece (including Crete, and the Ionian and Aegean islands), Turkey, northern Cyprus, Syria, and Lebanon. It is lime-tolerant and happily grows on magnesium-deficient soils. Suitable for hardiness zone 8. 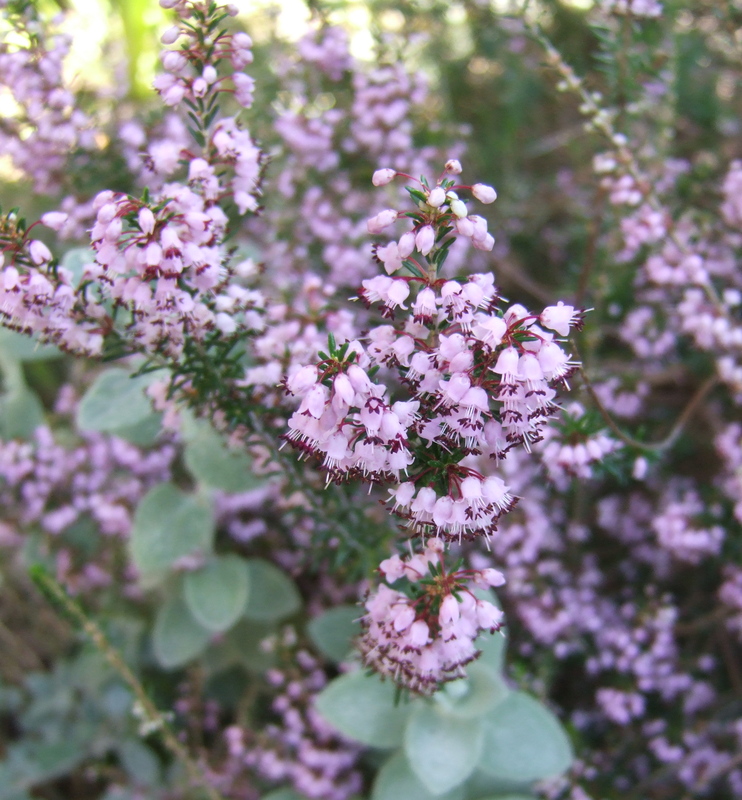 Closely related to Cornish heath (Erica vagans). Only pink-flowered cultivars are commercially available at present but white-flowered plants are known in cultivation (one clone has been named ‘Olivia Hall’ but it is not commercially available).